Marshall Connects is excited to officially launch its Emotional Intelligence development and training programs in Atlantic Canada. Our dynamic workshops, keynote speaking, and organizational consulting services will help your organization increase employee satisfaction and enhance overall productivity. OUR GOAL? To help you develop your people for better results because statistics show happy employees translate into hefty profits for companies (Forbes.com). Emotionally Effective Leadership is a comprehensive one-day Marshall Connects workshop that will equip you with valuable tools to enhance your effectiveness as a leader, sign up today! Our Emotional Intelligence training programs bolster emotional and social skills associated with a happy, healthy and productive workplace. EI training strengthens employees’ leadership competencies, and elevates synergy achieved from highly effective teamwork. FACT: Business wellness impacts productivity. A healthy workplace with a happy, well-balanced, and motivated staff is the foundation of every successful business or organization. People are your company’s most valuable resource. Assisting them to become more emotionally intelligent employees is an investment with an extremely high rate of return. It makes sense that happy employees work more efficiently, collaborate more effectively, problem solve with less 'drama', and are motivated to achieve high levels of productivity. And, employees with high emotional intelligence are often the ones who emerge as leaders – fueling the growth and success of your business. EI training delivers value – in any type of business setting or organization. Interested? Let's explore the possibilities. We invite you to take the time for a no obligation discussion about how Marshall Connects training and workshops can help improve your employees' Emotional Intelligence and inspire new positive behaviours. After meeting Linda Marshall and attending a talk on The Drive-By Life, Nova Scotia native Jennifer Bonnevie was sold on bringing Linda’s message and expertise to Halifax. Jennifer has held various roles in the banking and financial planning industries since 1995. She recognizes the importance of a team-based approach in business, and the important role Emotional Intelligence plays in enhancing both leadership and team performance. To book a corporate consultation or speaking engagement in Halifax, contact Jennifer today. What types of Emotional Intelligence programs do you offer? Great question. We have a number of options – keynote speaking, organizational consulting, leadership development, team development, workshops and webinars – but the starting point is a needs assessment conversation with you to hear your current challenges and goals. Then, we marry your objectives, timelines, and budget with our services to give you the best ROI possible. Is Emotional Intelligence a good topic for a keynote talk? Absolutely! In addition to an introduction to Emotional Intelligence as a topic, Linda Marshall also offers a series of other dynamic TED-style keynotes for meetings. Do you have online options or webinars? In an ideal world, we’d love to be able to deliver in-person training to every one of your employees. However, we also offer webinars as an effective training alternative. A series of dynamic and relevant webinars allows team members to learn key concepts online and on their schedule. Are there any public workshops scheduled for Halifax? We are in the process of organizing our next dates for one of our most popular public workshops. If you would like to be notified when we have more information, please complete the form on this page. COMING SOON! 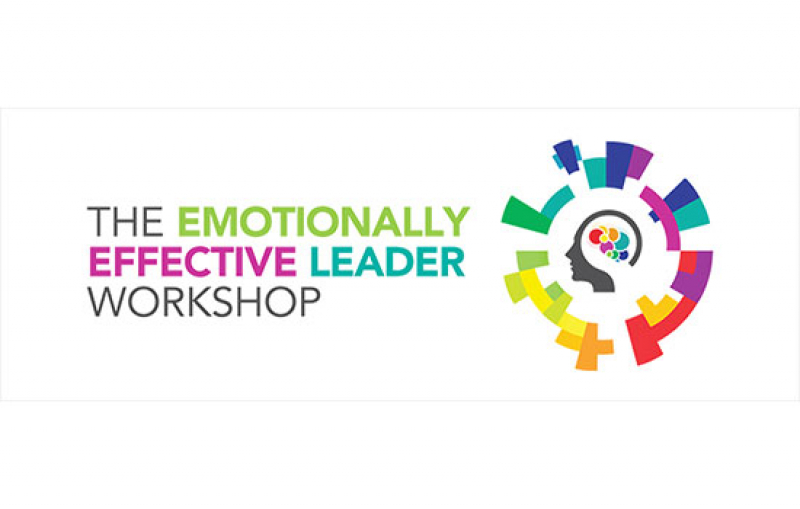 Emotionally Effective Leadership is a comprehensive one-day workshop that equips employees with valuable tools to enhance their effectiveness as a leader in your organization. What makes Marshall Connects different? Lead facilitator and strategist Linda Marshall resonates with audiences from a wide range of sectors –academia to manufacturing – with powerful keynotes, workshops, and coaching services. We like to call her approach to leadership training as “growth with heart”. Marry this with her breadth of managerial experience and business acumen, and you have a winning combination! What kind of Emotional Intelligence Assessments do you offer? At Marshall Connects, we believe that Emotional Intelligence Assessments and Coaching are essential to individual development. For individuals, the EQ-i 2.0: Leadership Self-Assessment provides details on an individual’s perception of themselves in their current role. The EQ-i 2.0: Workplace Self-Assessment offers valuable insight on the impact that emotional intelligence has in a workplace. In particular, it provides concrete suggestions for establishing and maintaining positive relationships with colleagues, supervisors, and clients The Assessment provides individuals with a baseline for a wide variety of development and coaching activities designed to enhance their effectiveness. .
Is there a minimum number of participants required for your programs? Good question. The answer varies depends on your company’s goals. Since our expert programs range from individual coaching to organizational consulting, it’s recommended that you reach out to us so we can assess how to best tailor our services to meet your needs. Do you customize your workshops for organizations? Yes! Marshall Connects workshops can definitely be customized to meet the specific needs of your team. How do we start the process of finding out if Emotional Intelligence programs are right for us? Contact us today by using the form on this page. We’ll then book a 30-minute call to discuss your needs and how Marshall Connects develops employees’ Emotional Intelligence to enhance their effectiveness and overall productivity. Still have questions? Please send us an email with the form on this page. What aspects of our Emotional Intelligence services are you interested in?